Match pieces of three or more to complete puzzle challenges. Completing a level gives you a star – you’ll need those to explore planets and unlock new characters. Collect enough stars to open new worlds and explore the entire Impossible Universe! And, boy, are there worlds to explore! Planets populated by robots, worlds of endless night and worlds where beautiful flowers flourish all year round. We offer a lot of ways to entertain and engage. 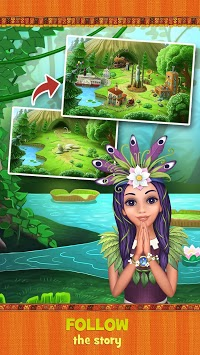 The goal is new on every level: collect gold, catch butterflies, gather bonuses, remove stones and so on. The gameplay never gets old. 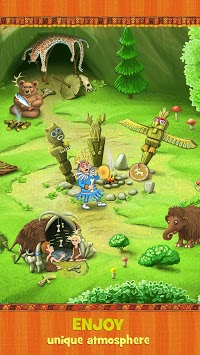 It is simple when you start, but as you progress the puzzles becomes more challenging. 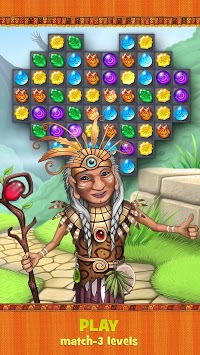 So, join the Great Shaman and explore the mystical sources of life and diversity in this Impossible Universe! This kaleidoscope of worlds is crafted with handmade, high-detail graphics and immersive sounds. Download the game and let yourself escape! Coloring – Adults’ Painting Game! Ocean Sweep: A Fun Match 3 Game for Ocean Cleanup.